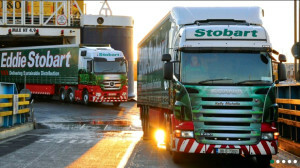 Eddie Stobart has won a £15 million contract with CEMEX UK, the building materials supplier. The new contract is set to start next month, and will see the logistics business deliver packed cement products from CEMEX production sites to its customers across the UK. “Following a competitive process, we are pleased to confirm that Eddie Stobart has been awarded the contract to transport our packed products to our customers for three years,” said David Hart, logistics director, CEMEX UK. “The Eddie Stobart team will be providing the full end-to-end logistics service across our supply chain ensuring a superior customer experience.